Kiethevez Non-binary. New CD album "Non-binary" out now! Music inspired by Depeche Mode, A-ha, U2, Cure. Exclusively at Bengans.com Limited numbers available! Read the new Subsine interview with Kiethevez now. The song writing for the forthcoming album is progressing slowly. A handful of demo songs are finished so far. This is the first demo excerpt available (more to come soon). There were only 100 copies made of the demo tape Undressed Confessions from 1991. After more than 20 years, the old demo tape is now available for download as MP3 - or via YouTube. The sound quality is really poor, but this was back in 1991, and it was recorded on a 6 track tape recorder at home. No mastering, no compressors, no effects - nothing but a crappy Alesis Reverb. And four teenagers taking the first steps in exploring electronic music. 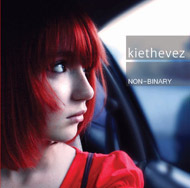 After the very well received third album "Non-binary", the Swedish electro-pop act Kiethevez decided to take a break for two years to get new inspiration and creative energy. But now Kiethevez are in the studio and working on new material again. "We made a decision a few months back to make new songs more electronic than recent songs with multi-layered instruments. So far we have a handful of songs that are being polished up from demo stage and we're happy with what we hear coming out at this stage. We guess the drive is to combine our current ideas of melodies and sound banks with an ambition to connect this to our earlier things that stayed pretty minimalistic. In terms of time frames we will definitely try to get out some new extracts on our Facebook, MySpace and Web pages this summer. Maybe get one early song out there as well, to show where we’re heading. We're still discussing in what forum and how to do such a release though." 2010-04-02 On Facebook, at last! Join Kiethevez on Facebook for quick updates now! Finally after a few months' wait the latest release from Kiethevez is now available on Spotify, the online music-streaming service growing in popularity. After a short break after the "Non-binary" release, the members of Kiethevez are about to get together again in London to talk about the future of the band. This may be the end, or the start of an exciting future for Kiethevez. 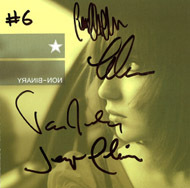 2008-09-13 Signed and numbered Non-binary albums! Buy your copy exclusively at Bengans. Limited numbers available! Read an excerpt from the DARKNOISE Magazine interview. Read some of the Non-binary reviews now. 2008-09-02 KTV T-shirts available now! Read a two part interview with Kiethevez at Synth.nu. After two albums and several singles released in the synthpop underground of the 90's, Kiethevez faded from the spotlight. But they never stopped writing and recording quality, intelligent pop music, and now that music comes to light with the Non-Binary album. In the case of Kiethevez they've definitely saved the best for last!